Minors under 18 years of age must obtain a work permit or a written agreement or contract entered into between the employer and the governing school district, public school academy, or nonpublic before starting work. 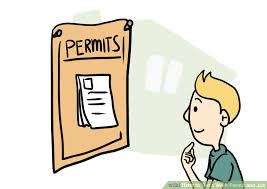 Work permits can be obtained from the issuing school the minor attends or the school district where the minor will be employed. If the minor changes jobs, a new work permit is required for the new employer. A work permit may be revoked for poor academic performance. A work permit is required even if the minor is home/cyber/virtual/online schooled, does not attend school, or out-of-state resident.